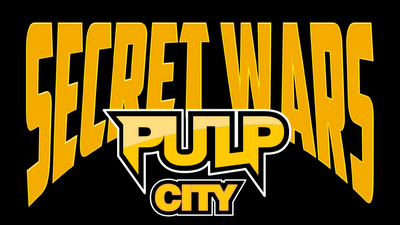 PULP CITY FORUMS • View topic - Uk Tournament / Campaign weekend? < Conventions, Shows & Tournaments ~ Uk Tournament / Campaign weekend? What about a 'Marvel' style big event in the PC timeline? My Blog Tales of a Tabletop Skirmisher Inc Pulp City. Sounds like something out of comics & I don't read them so I can't meaningfully input. Never Bother Questioning Authority, They Don't Know Either . . .
"Damned if you Do, Damned if you don't"
The original Marvel Secret Wars lasted 12 Issues, so 12 Months - thats fairly long term! Just setting it up simply like that would take a few Months! I'll defo be up for it ,I may need to play a few more games ,,..